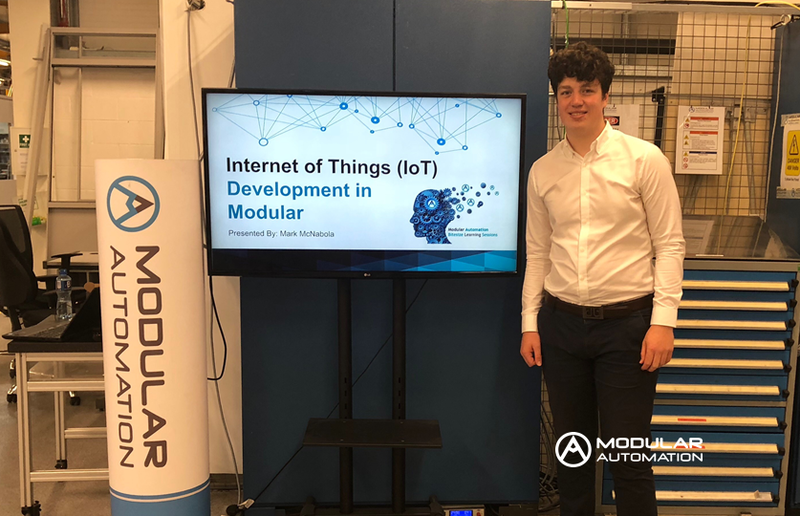 Mark McNabola our software controls summer intern delivered a Modular Bitesize Learning Session on IoT development that he has been involved in since joining us in May. This session was really informative as he described the hardware and architecture behind this revolutionary technology. We got to see the possible applications where this technology could be used and the operational efficiency it will provide for our customers in the future. Well done and a huge thanks for the presentation Mark. We wish you all the best of luck in the coming college year!